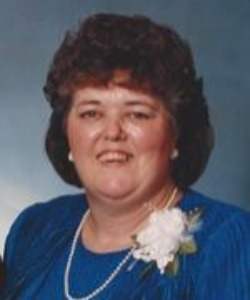 Jane Kasten, age 76, passed Wednesday January 30, 2019, at Ascension Hospital in Oshkosh. She was born March 5, 1942, in Winneconne, WI to Isabel (Harper) and William Gavin. She was a 1960 graduate of Winneconne High School. Jane attended college at UW-Oshkosh. In her youth she was a Candy Striper at Mercy Hospital, a car hop at Leon's Drive-In, and waitressed at the Fin n Feather. On October 13, 1962, Jane married Fredrick Kasten at St. Mary Catholic Church in Winneconne. They lived briefly on Lake Butte des Morts and started their dairy farming career by renting a farm near Winneconne. In March of 1967 they purchased a farm near Omro that is now known as Waukau-Creek Farm. Jane and Fred worked side by side raising a family (her greatest accomplishment) and running a successful dairy farm. She took care of her family, the cows, the books, and the fieldwork. Her interest in music and the theater will be remembered in the countless plays she attended with her children and grandchildren. Jane had a love of humor and wit and truly had the Gavin gift of gab! The tradition of sitting around the table talking and laughing will not end, but her presence will be missed by her husband, Fred; her children, Jim (Stacy Freund), Kathy, Julie (Greg) Freeman, Karen (Jamey) Krause, and Jeff (Katherine); her grandchildren, Kevin (Abby) Bradley, Jacob Bradley, Tyler (Melanie) Bradley, Melissa (Trent) Martin, Scotty Freeman, Isabella (Sam) Heilsberg, Gavin (Brin) Kasten, Ava Kasten, Chandler and Christopher Blake, Melanie Krause, Jessica (Tom) Henderson, Brandon (Terra) Freeman, Zach Freeman, Fred and Samantha Kasten; her great-grandchildren, Lydia, Jace, and Kiersten Martin, Talen, Braxton, Kendall, and Havana Bradley, Alana Krause, Alice Henderson, Jennifer Freeman, and babies Henderson and Bradley; her in-laws, Clifford Dobbe, Betty Ann Bowers, Judy (Chuck) Aldrian, Roger Kasten, Marie (Ted) Salgado, Pedro San Diego, and Esther (Mike) Wiersinski; many special nieces and nephews and extended family. Jane was preceded by and looked forward to her reunion with her parents; sisters, Barb Wightman and Susie Dobbe; brother, Larry Gavin; special granddaughter, Gwendolyn Kasten; and sisters-in-law, Ruthie San Diego, Pearl Kasten, and Susie Kasten; brothers in-law, Grant Wightman and John Bowers. A visitation for family and friends will be held on Tuesday, February 5, 2019, from 9:30 a.m. to 12:00 p.m. at Mueller Funeral Home 904 E. Main St. Winneconne. A funeral service will be held on Tuesday at Noon at the funeral home with Chaplain Nathan Bettgar officiating. OUR DEEPEST SYMPATHY TO JANE'S FAMILY. SHE WAS A GIFT FROM HEAVEN TO HER ENTIRE FAMILY, FOR ALL THE WORK SHE PUT INTO THEIR FARM AND HER CHILDREN. SHE WILL BE MISSED BY MANY. I haven't been in touch with Janie since high school, but I have fond memories of her and lively and fun personality. I extend my sincere sympathy to her family. We are so sorry for your loss. May the memories warm your hearts, may your love for her always comfort you and may God hold all of you close and wrap his arms around you. My deepest sympathy to all of Jane's family. I have such fond memories of visits to the farm and will always remember her love and laughter. May she rest in peace.
. She really was a gift to all who knew her and I know for certain that together we will keep her gift of gab and laughter alive. Janie, you were a wonderful woman, neighbor and friend. Since I have the rock you always wished for still on my property (LOL) I promise this spring I will put flowers by it like you always wanted.